Dedicated to improving the lives of those we touch. 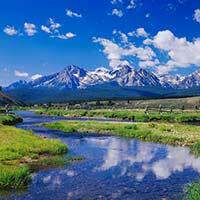 Just 90 minutes from the breathtaking beauty of Jackson Hole, the Grand Tetons and Yellowstone National Park. We consider it a privilege to help others get back to good health. Our mission is to improve the lives of those we touch; this includes our patients, their families, our co-workers and community. 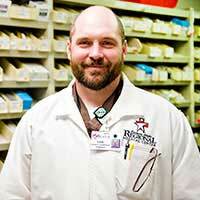 Every EIRMC employee is committed to accountability, integrity, respect, quality, loyalty, and enjoyment. If you're committed to those same values we hope you'll consider joining our team. Join The Extraordinary Nursing Team at EIRMC! 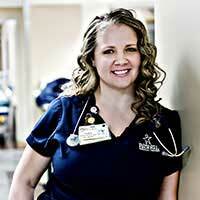 We'd love to talk to you about our nurse openings! We attract nursing professionals who are passionate about helping others and who believe in our nursing philosophy of putting patients and their families first. Take this wonderful opportunity to join the region's largest and most innovative medical facility, EIRMC! 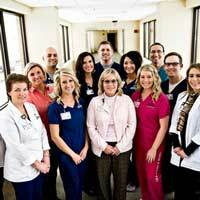 The largest medical facility in the region, Eastern Idaho Regional Medical Center is a modern, Joint Commission-accredited, 334-bed full-service hospital located in Idaho Falls. To ensure high-quality, compassionate patient care, we depend on the collaborative efforts of our entire team, from physicians to support staff. EIRMC offers excellent opportunities to advance your career. At EIRMC, we recognize that our employees come from diverse backgrounds. They have many different needs when it comes to insurance, retirement, etc. Therefore, we specifically designed our programs to provide total compensation that includes a variety of benefit options. EIRMC is an equal opportunity employer committed to building a diverse and supportive workplace. We invite new and soon-to-be graduates to apply for our StarRN New Graduate program! This is a 14-17-week program of clinical training that allows new graduates to obtain acute care nursing experience through an intensive internship and then transition to staff roles within EIRMC. "Every EIRMC employee is committed to accountability, integrity, respect, quality, loyalty, and enjoyment"
a credo we call I am EIRMC. The I am EIRMC values- accountability, integrity, respect, quality, loyalty, and enjoyment- are more than words on a plaque or poster; they are the principles that drive our work, every single day, every single patient, and every single interaction. I’m proud to work here at EIRMC. If you share the same passion to care for people, we’d love for you to be part of our team.